Any one of these four principles, if applied perfectly by some hypothetical master, would completely invalidate any hand-to-hand attack. In much kata - particularly fundamental kata - we would like to express all four principles to as great an extent as possible. But in certain applications some principles do not make sense. For instance, controlling ma-ai may not make sense or even be possible in suwari or in ushirowaza. 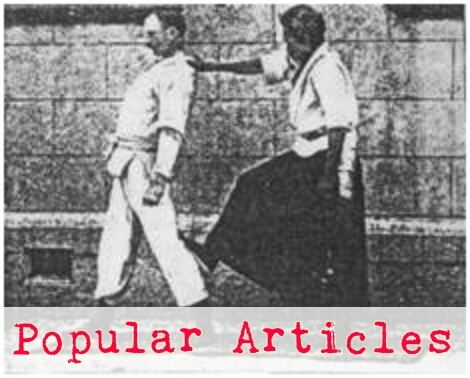 In more "advanced" kata like the Koryu no kata, we often see some principles discarded in order to spotlight others. So, you can sort of view each of the principles or guidelines or rules-of-thumb or practice preferences as a spectrum, like I wrote about in the last article. In the example above, you can imagine a particular technique expressing ma-ai control to a degree between 0 and 100%, evasion between 0 and 100% and so on. This sort of idea about the expression of principles in technique becomes more valid and intuitive in randori. In any given encounter, the tori is able to choose to use any of several tools (maai, taisabaki, entering, ...) to some degree, so onlookers will see tori expressing some of these principles more than others. In some performances of kata, some performers will rely more on ma-ai and taisabaki (for instance), while other practitioners doing the same kata techniques the same way will express more synchronization and irimi. If tori stays safe and uke ends up on the ground under control because tori controlled ma-ai - is that better or worse than uke ending up grounded and controlled through the use of irimi? 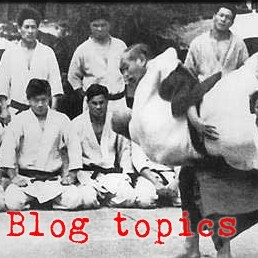 If a kata description in every kata book in the world says that a technique must be done via irimi, but some certain practitioner (because of body build or psychological make-up or whatever) does the same technique via synchronization, does that make it an invalid expression of aikido?